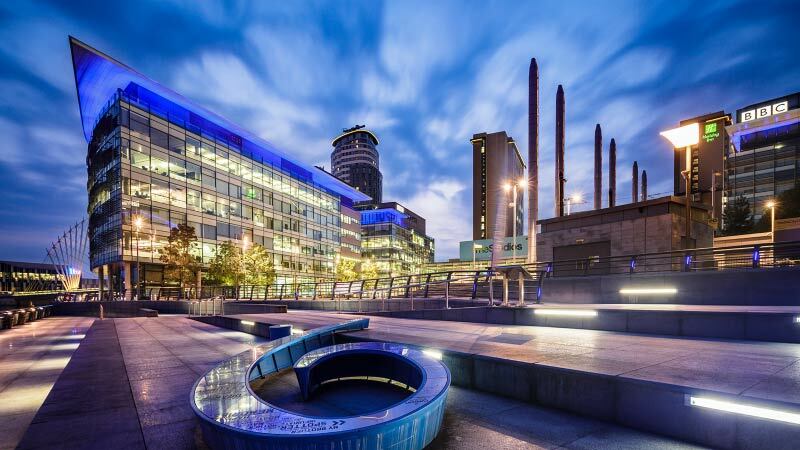 Our expertise in planning, specifying, delivering and running the television facilities and technical infrastructure of MediaCityUK, together with the extensive broadcast experience of our management team, makes us uniquely qualified to help organisations with their developments. We are not manufacturers or resellers, and we only ever provide independent consultancy without the pressure of selling kit or software. The media industry today is changing faster than at any time in its history. The way television is made, delivered and watched is constantly evolving, and our hands-on experience with testing, innovating and implementing new technology will help you make the right choices, first time. Working with dock10 will ensure that you have the best possible advice from people with current knowledge and experience of running purpose-built studios, including the largest television studio in the UK, designed for primetime flagship entertainment shows. We deliver thousands of hours of television every year, and our studios are supported by over fifty post production suites specialising in high-end finishing, audio, colour grading and the latest in VFX and motion graphics, together with our media team delivering content in all international standards. This is all built on a technology infrastructure that has been designed for the future of content. We can support the entire process from the initial concept to opening your doors for business. Whether you are converting an existing building or planning a new build, we can help to specify your requirements, find the right suppliers and support your contract negotiations. Our hands-on experience with testing, innovating and implementing new technology will help you make the right choices first time, and because we are not manufacturers or resellers, our recommendations are completely independent and based on your specific needs. dock10 can supervise the delivery of your entire project, ensuring that all of your requirements are met and that the work is finished to industry standards. To get your facility open for business, we can help design your organisational structure, specify job descriptions and recruit the right talent. Hands-on training for any role can be provided either at your site or with our experienced team in the UK. Once your site is up and running, our team can help you understand the dynamics of the international broadcast market and use our contacts with leading production businesses to ensure that your business is marketed to the right people. Since opening dock10 in 2011, we have welcomed hundreds of visitors from around the world looking to repeat the success of MediaCityUK. At every stage of your project, from concept, design and build to technology choices, system designs, training, marketing and day-to-day running – dock10 can be with you to ensure that you make the most of your investment.